﻿Divekar & Associates is founded by Dr. Preeti Divekar in 2014 , with the passion to provide a welcoming, caring experience for the patients throughout their lives. 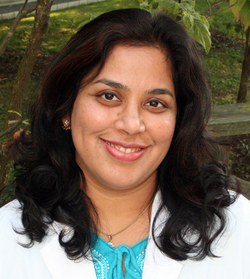 Dr. Preeti Divekar is a highly rated gynecologist in the Greater Pittsburgh Area. She is board certified in Obstetrics and Gynecology from both The United States of America and India. She has more than 15 years of experience in women’s health. She also specializes in providing integrative and personalized women’s health care in a professional and welcoming environment. In addition, she is a diplomat of American Board of Integrative and Holistic Medicine. At Divekar & Associates, we strive to help patients and their family achieve optimal health and wellness. Our goal is to provide flexibility and an on-going appreciation of the mind, spirit and body connection and personalized quality care in the Pittsburgh area. Dr. Divekar’s practice has evolved from practice of obstetrics and gynecology to focus on gynecology, wellness and aesthetics for teenage girls and women with their hormonal and emotional needs. Dr Divekar has completed her medical education from Seth G S Medical College and King Edward Memorial Hospital, premier medical institute in Mumbai, India. She has completed her residency in Obstetrics and Gynecology from Seth G.S. Medical College, Mumbai, India as well as from West Virginia University, Morgantown, WV, She is affiliated to Magee Women's Hospital of UPMC as well as UPMC Passavant Hospital.